Do you know how the change in Legislation could financially affect you? A Government Legislation surrounding Capital Allowances was recently changed on 1st April 2014, instructing the identifying of a ‘pooling requirement’ and ‘Fixed Value Requirement’ to be achieved at point of sale. If the parameters of this new measure are not adhered to, any possible Capital Allowances relief, available for either the Purchaser or Vendor, would be lost forever. Roger Hannah & Co understands this new requirement and has devised a structured system that has been tried and tested many times and are also proud to announce that their nationwide coverage for Capital Allowance Valuation Reports have never been rejected by HMRC. As the rules and regulations to this complex government Legislation are vast, intricate and forever changing, trying to understand whether you qualify for Capital Allowances Tax relief or what you should look to expect as a financial benefit, can be incredibly difficult to ascertain. Solely for this reason, Roger Hannah & Co will provide you with their specialist due diligence service for free allowing you to make an informed decision ‘moving forward’ on your Commercial Property asset. 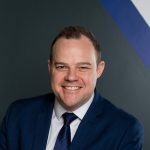 Roger Hannah & Co specialise in comprehensively claiming Capital Allowances and average £30M worth of tax relief annually on behalf of commercial property owners nationwide. However, be ‘rest assured’, they are not trying to offer replacement accountancy services, they solely specialise in this one area, achieving a comprehensive Capital Allowances Valuation Report that most Chartered Accountants/advisors must outsource to a third party. 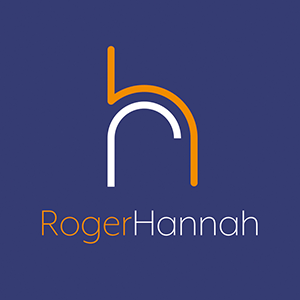 The majority of their work is instructed by Chartered Accountants, Solicitors and IFA’s with whom Roger Hannah & Co already holds an abridged partnership agreement. By using Roger Hannah & Co.’s five step process, your tax relief could be provided to you within an average 2-6 month turn-around and their fees are only invoiced on a contingency and performance basis. Contact the Capital Allowances Department at Roger Hannah & Co on 0161 429 1662 for a free consultation and due diligence service, and ascertain if your commercial property qualifies for and warrants a beneficial Capital Allowances Tax Relief.